Welcome to Day #12 of Celebrating 12-Years of Chocolate Series, and Day #2 of Chocolate and Ice Cream Theme Week. 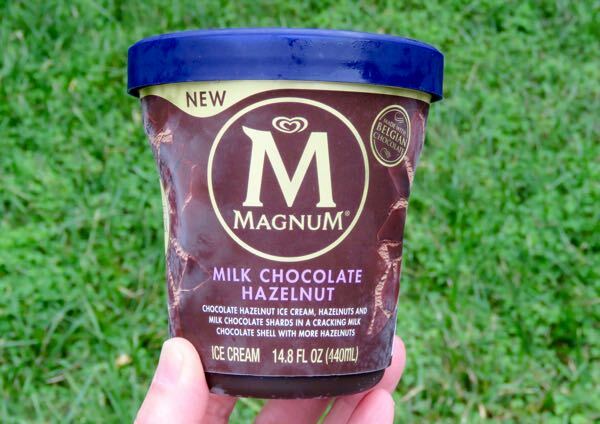 Today's Magnum Milk Chocolate Hazelnut ice cream was from Unilever (Englewood Cliffs, NJ). 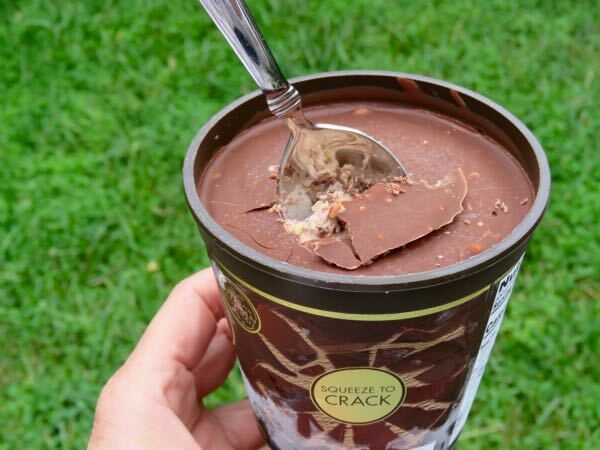 The unique feature about this relatively new offering was: "Squeeze to Crack" packaging—a hybrid of a large, chocolate-coated ice cream bar and a container of ice cream. When you squeeze the plastic container, the chocolate "lining" or coating breaks with a crunch. Then you can enjoy bites of hazelnut ice cream mixed with milk chocolate shards. Fun concept.